Projects & Lists - What are they? ClickUp's organization is based on a carefully constructed hierarchy. Projects and Lists are located right in the middle of hierarchy, and are essential to its success! The only thing to understand is that Projects are above Lists - they act as a folder of Lists. And that Lists contain Tasks - Lists act as tabs within that folder. Projects are folders within Spaces. You can customize statuses for each Project. And really, they can be anything to keep your Spaces organized. This extra level of hierarchy is something unique to ClickUp. We promise - once you get in the habit of using Lists, it forces structure and you'll thank us as your Projects grow! This system ensures that every action item has a clearly defined place in your workflow, and makes it less likely that tasks will fall through the cracks. There are a lot of ways to customize Projects you create. We created ClickUp after becoming frustrated with other project management softwares' lack of organization and structure. Even if you intend to use a project management platform on a semi-regular basis, you will need a rock-solid process to avoid organizational chaos as your number of tasks increases. ClickUp Lists prevent this problem from the beginning, making it easy to start and stay organized. If you ever want to remove a Project or List, just hover over it and click the ellipses ... . This will show a dropdown where you can rename, move, or remove the List or Project. Note the difference between "deleting" and "archiving" your Project or List. When you archive a List or Project, it can be retrieved for later inspection. Deleting, on the other hand, is permanent. 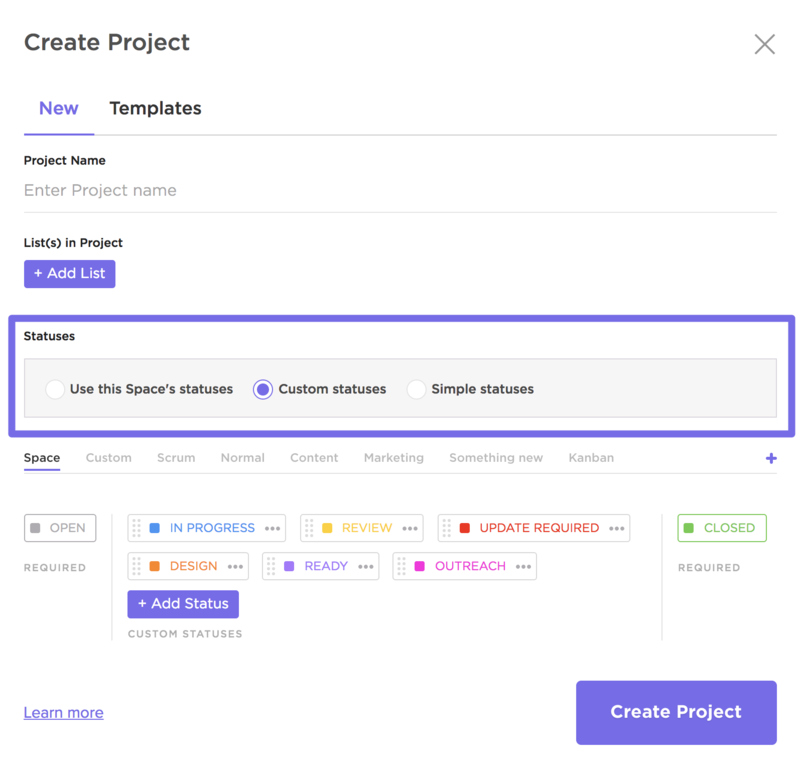 You can unarchive a Project or List at any time by proceeding to the Space in which it was archived. Click the ellipses next to the Projects heading and select Show archived . 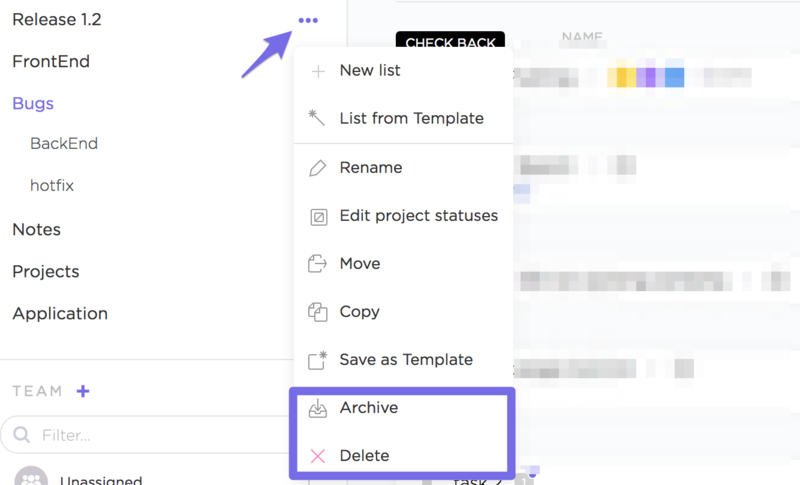 Once you've spotted your archived Project or List, just hover over it and click the restore arrow unarchive it.